PayPal? Send $5.00 to seahorse.pip@live.nl make sure to include your dA username and/or mail. -More versions with squared borders and multiple caption buttons types, also a dark version. 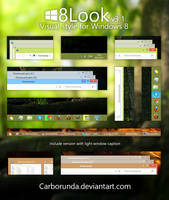 -Windows 7 version for the people that don't want to upgrade to Windows 8. -User input will be taken with more consideration for the updates/new features. 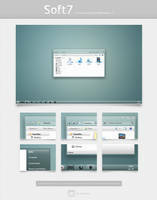 -Extended support/help with installing the theme and getting it work properly on your system through MSN, TeamViewer, etc. -A lot of overall updated images and other changes of course. 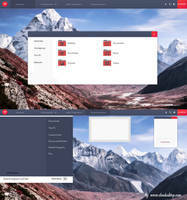 -Free version (has no extras, just default style). -Extra Dark version(paid) (might have a few bugs, report them to me trough notes or email). 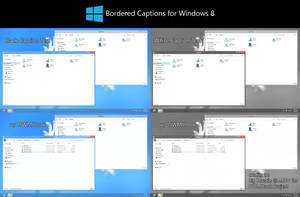 -Windows 7 versions will be added in next few days for paid users. 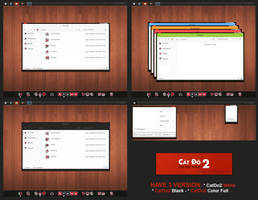 -Improved firefox addon, amke sure to update! -Improved scrollbars, make sure to reapply the new reg file! if anyone who's paid 500 points wants a 100 points refund send me a email or deviantart note. The price on Paypal is still the same. -Fixed a error that made the theme not able to apply in some cases. *Will be free in most cases, for very advanced modifications there might be a small price, in that case we can negotiate about it. I love the theme and also seahorsepip's Support is AWESOME! The theme is simple but nice . 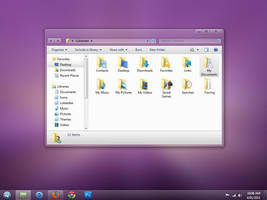 One thing I have to say is that there is no windows 7 version included and the icons are also not implented. The taskbar was updated a time ago so the picture is also old. But i got the old taskbar back by asking him in skype of an modded theme file. His Skype name is linked on his website btw. Paid $ 5 really worth very much! and to seahorsepip: Please update the theme more often! 20 out of 25 deviants thought this was fair. 1. Will the paid version work with 8.1u1? 2. 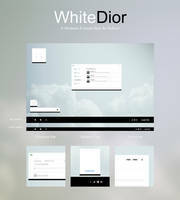 Are you still accepting payments for this theme? I love it! I don't know what points means....do you still take Paypal? If so, what price are you charging now that it's no longer in development? I've send a link in a note. It's no longer in development so it's actually free but I made the plus version 10 points which is around 5 cents since it was quicker to change that way. 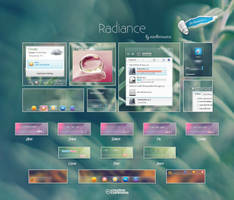 Do you have plans anytime soon to fully update this theme to work correctly on windows 8.1? The paid zip seems corrupted :/ Can you update it ? Nope still corrupted. The free version isn't though. Weird, I downloaded the zip 3 times, and it says that the zip file seems corrupted, I even tried with 7zip. I'll try again see if it works. Are you still working on the Windows 7 version? Not really, I got already a working version that can be requested by note. What is your icon pack? What's the difference between these themes? Since windows 8 themes also work on 8.1 update 1. 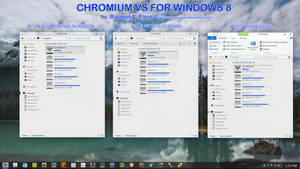 Difference between windows 8 and 8.1 (update 1) themes are that there's a new class of context menus for the start screen and the start menu has been completely removed. This causes the jumplist to be messed up and for there to be a lack of a context menu when you right click in the start screen. 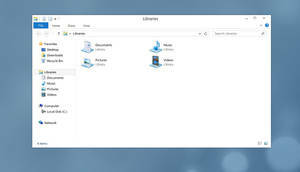 Another difference is that the AMAP from windows 8 is missing the new animation for minimizing and closing modern apps. Use start is back that one should work. Hope you make a new release for w8 update 1, because it breaks the context options of all metro start tiles. Even on a fresh install with msdn image (if anyone else has this let it know). I like this theme. It's my favorite!!!!! Can you send screenshots and tell me how you installed it in a note? Where's the "README.txt" on rar pack? Seems I forgot to include it. Still no update. Not to be rude but us Windows 7 users always seem to be at the bottom of the pecking order. I had some points left so i bought it will test it out in a few. Hey mate!Do you plan to start/make an update for 8.1 Update 1? I saw the update in my messages and i thought you somehow did it.. 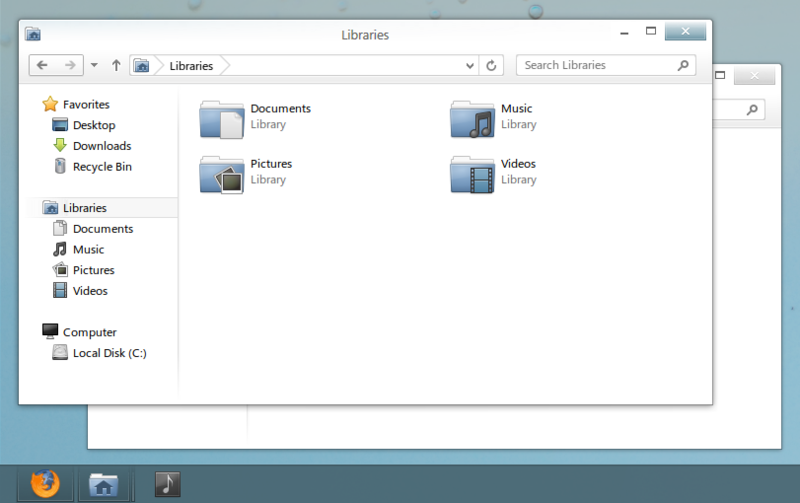 It should work already on win8.1 except for the titlebar bug(not fixable yet, damn you MS). 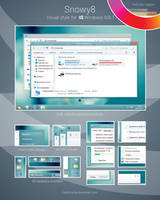 hey bro i just purchased today but win7 version isnt included can you give me that version please? Just wondering, is the Firefox addon still being updated? I got the very first version that came with free version of the theme and there's a tiny issue in Fx29+. You mean the stratiform addon? That addon is currently being updated for FF 29+ and is currently in testing phase. Nah, you had an addon that made Firefox borderless, its file name is Glow@Seapip.com.xpi. I actually figured out it was one of my style causing the issue, though I haven't been able to fix it as it seems to be completely random, kind of annoying, eh. Kind of frustrating that Win7 is paid only. Meh. Can you update the preview with the dark version? Is there anywhere when I can check it? I also think the preview you have is not updated. 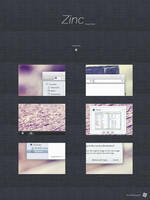 By the way when will the icons in the preview be available for this theme? 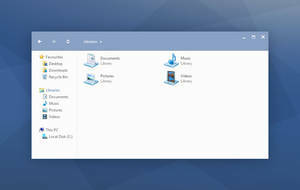 Good job on the themes tough, I love them (currently using Wave for Windows 7 and hoping for and updated version of Glow to use Windows 8.1), I hope you continue supporting and making more themes. 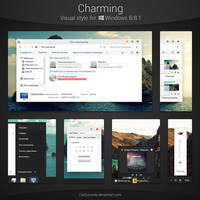 Just bought this theme.. dark version is great. Finally a dark theme that doesn't burn my eyes! You can alway ask for a test version of teh windows 7 version trough mail or a note and I'll send a link. Waiting for the new version 8.1 compatible. I can pay it again. no need to pay, it should work already with latest uxstyle patch though there are some bugs. Yes, others have the same problem.